American Girl, Trusted Partner Of Parents Everywhere, Branches Out With New Body Book For Boys | Mattel Inc.
MIDDLETON, Wis., Aug. 9, 2017 -- With boys facing many of the same questions and concerns about their changing bodies as girls do, American Girl—a decades-long leader in helping millions of girls navigate through adolescence—is, for the first time, extending similar advice to boys and their parents with Guy Stuff: The Body Book for Boys. The new book is written by Dr. Cara Natterson, board-certified pediatrician and author of American Girl's wildly successful The Care and Keeping of You: The Body Book for Girls series, with nearly 6 million copies sold and considered the go-to resource for parents and health-care professionals alike. Using a down-to-earth tone and illustrations that deliver just the right balance of facts and humor, Guy Stuff helps boys ages 8 and up prepare for the changes their bodies will go through as they grow and develop. Topics cover everything from hair care to healthy eating, bad breath to shaving, acne to voice cracking, pubic changes to moodiness, peer pressure to bullying, and everything in between. "Parents have written to me for years, asking for the boy version of The Care and Keeping of You," says Natterson, New York Times bestselling author and mom of a 14-year-old girl and a 12-year-old boy. "And while we've done a good job of educating girls on puberty and their changing bodies, boys have been left behind on this topic—and that's simply not fair. Boys go through puberty, too, and they deserve the same information that girls get about how to grow up in a safe and healthy way. It's time we change the social norms and start including boys in discussions about puberty, health, and wellness, beyond what may or may not be taught in the classroom once or twice a year." Guy Stuff addresses boys directly with age-appropriate and practical information that answers their questions about how their bodies work, what will change through puberty, handling new emotions and feelings (and that it's okay to express them! ), and how to adopt healthy living strategies for a lifetime. And just like its girl counterpart, Guy Stuff empowers boys to take control over their health, while also encouraging open conversation with parents and other trusted adults about questions or worries they may have. 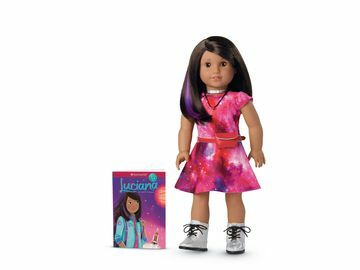 "As a trusted partner for parents, we're proud to offer an equally impactful book to support the health and well-being of their sons, as we've created for their daughters," says Katy Dickson, president of American Girl. "Guy Stuff allows us to share our broad expertise on handling puberty—something that isn't just a boy thing or a girl thing, but a human thing." Body Basics: Breaks down basic facts about boys' bodies and explains the common changes of puberty ("You Will: Grow taller, sprout hair, sweat more, develop muscles, see changes in skin and hair texture, get a deeper voice, see changes to private parts, and experience new emotions.") and discusses the importance of establishing healthy habits and having a good attitude. Heads Up: This chapter covers everything boys need to know to keep their heads and face in tip-top shape, including hair care, acne, sun protection, and oral hygiene. Reach: Explains the essentials of nail care and maintaining healthy hands, underarm hair and controlling body odor, plus breaks down the changes boys' chests will undergo. Belly Zone: Acknowledges that bodies come in different shapes and sizes, and shares detailed information on healthy hydration, food, nutrition, and essential vitamins and minerals. Big Changes: Tackles changing hormones, private parts (including erections), moods, and voice. Get Going: Covers legs, height and growing pains, feet, fitness and exercise, sport safety, the importance of good sleep, and even bed-wetting. Your Inner You: This section delves into new feelings and emotions boys may be experiencing during puberty, including topics on peer pressure and bullying, plus letting guys know that it's not only okay, but healthy, to express their emotions. Guy Stuff is able through the American Girl catalogue, at americangirl.com, at American Girl retail stores, and nationwide through retail and online booksellers. American Girl is a premium brand for girls and a wholly-owned subsidiary of Mattel, Inc. (NASDAQ:MAT, www.mattel.com), a creations company that inspires the wonder of childhood. 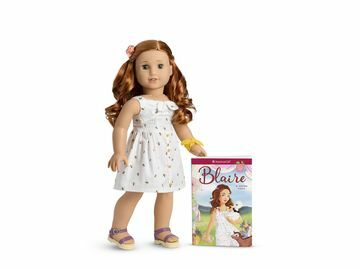 Headquartered in Middleton, WI, American Girl offers an inspiring world of dolls, content, and experiences that nourish a girl's spirit and help develop her strength of character. Best-selling lines include Truly Me™, Girl of the Year™, Bitty Baby™, WellieWishers™, and the classic historical character line BeForever™. The company sells products through its award-winning catalogue, on americangirl.com, in its proprietary U.S. experiential retail stores, and at select specialty retailers nationwide. Outside of the U.S., American Girl products are sold in specialty boutiques at select Indigo™ and Chapters™ in Canada and El Palacio de Hierro locations in Mexico City. By inspiring girls to be their best, American Girl has earned the loyalty of millions and the praise and trust of parents and educators. 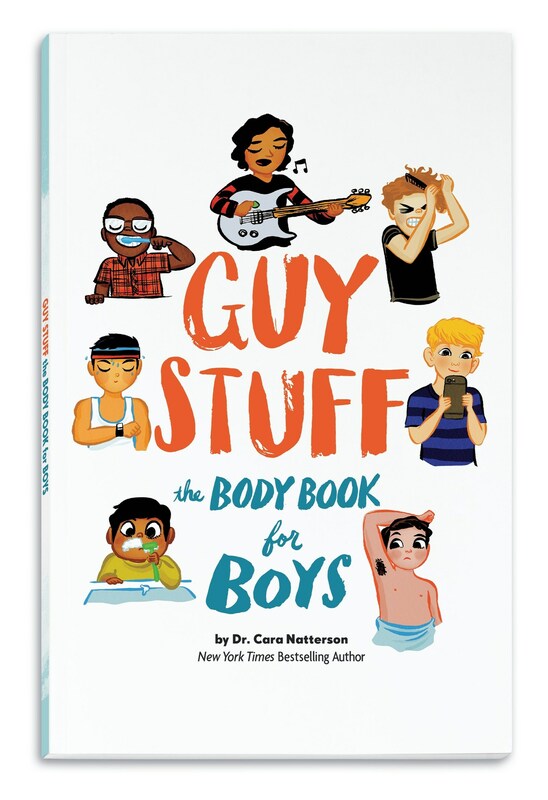 American Girl releases Guy Stuff: The Body Book for Boys by Dr. Cara Natterson.